And Kotaku's Tokyo Game Show coverage continues! Here's the day three round up, with all the news, impressions, and fun in one place. If you missed the previous festivities, Kotaku has you covered: Day 1 and Day 2. Meet Keita Wada. 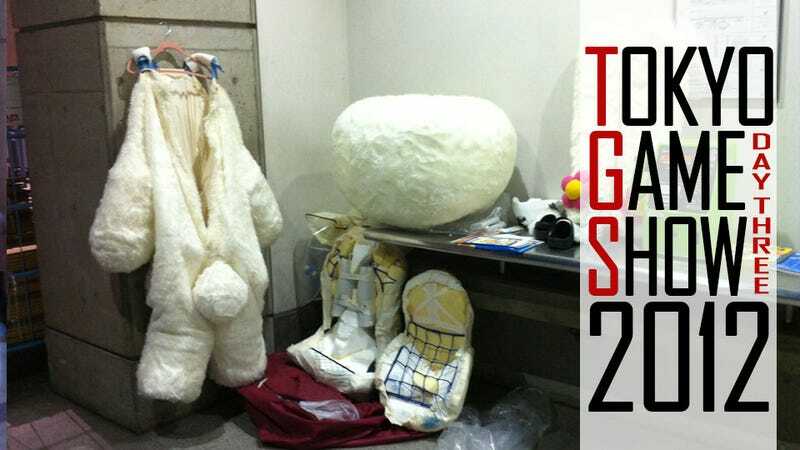 The 24 year-old was the first person in line for the first public day of this year's Tokyo Game Show. There has been a lot of news coming from the Tokyo Game Show this year. We've heard about Metal Gear and Phoenix Wright and a host of other games for and from Sony and Nintendo, as we have come to expect. Find out if you really like each other by testing your brain waves. That's what the Brain Kiss app tests to see. Today at the Tokyo Game Show, Kotaku spent some time with the newest game in the Tales series, Tales of Xillia 2. It looks, plays, and feels like the first Tales of Xillia-and this is in no way a bad thing.